Baghdad (Arabic: بغداد‎, transliterated Baghdād) is the capital city and largest city in Iraq. It is the second-largest city in Southwest Asia after Tehran. It is the second-largest city in the Arab world after Cairo. 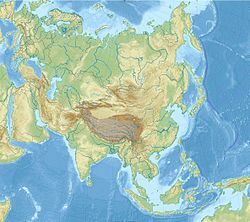 It has 5,772,000 people (2003). 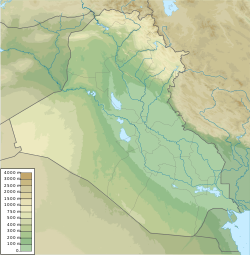 Baghdad is on the Tigris River at 33°20′N 44°26′E. The city was once the center of Dar al-Islam, Muslim civilization. Baghdad used to be one of the largest learning centers in the world, during the post classical era. ↑ Petersen, Andrew (13 September 2011). "Baghdad (Madinat al-Salam)". Islamic Arts & Architecture.